This Saturday I took joined in True Scrap 6, an online, live virtual paper crafting event hosted by Lain Ehmann. While I was busy watching and learning from teachers like Jennifer Gallacher, Nichol Margouirk, Noel Hyman and many others I decided to do a bit of coloring. Multi-tasking at it’s best, right? 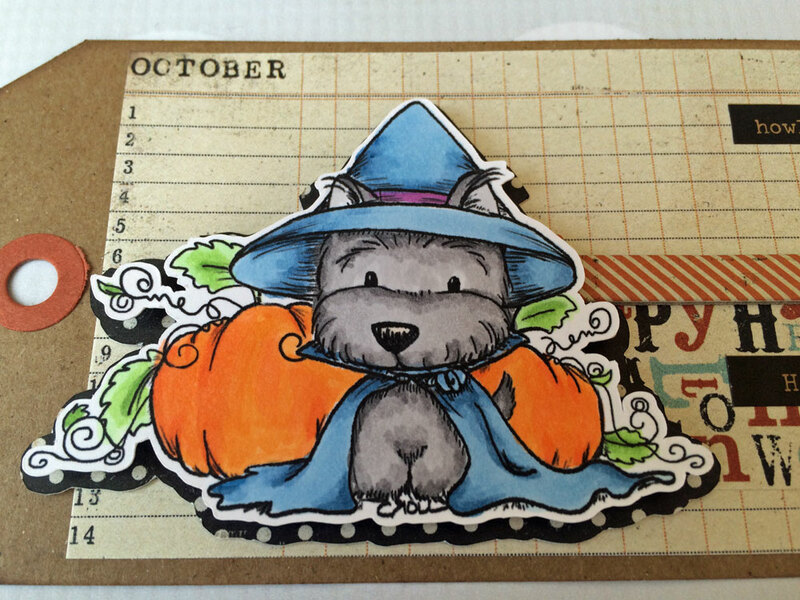 I colored several images, but I needed a little card to slip into a package I was sending. And this little guy was perfect for it. I colored Tiddly Inks Spooking Pup, cut him and a shadow layer with the Brother Scan & Cut and layered various elements from the My Mind’s Eye Mischievous collection. 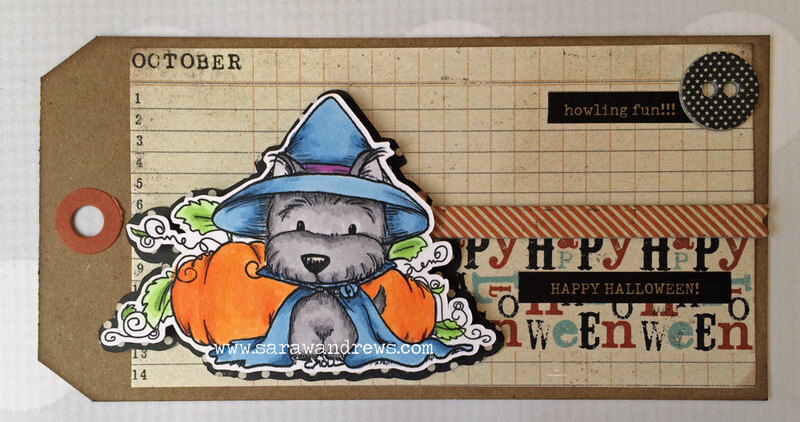 Hopefully my howling hound will bring lots of Halloween happiness. He he. I’m sure the recipient will be howling with joy!